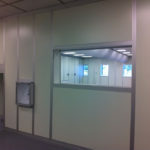 Modular Cleanroom installation for micron diamond material processing. 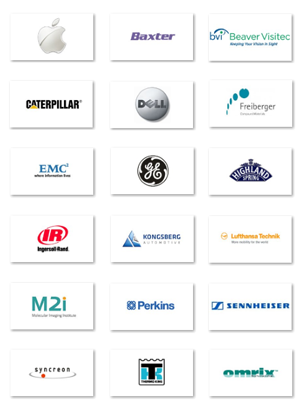 Elimination of any potential contamination sources is essential to Micron Diamond Production. 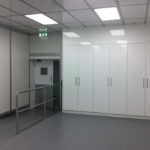 This Class 10,000 installation included a change room, goods area, material isolation area, HVAC and internal fit-out. 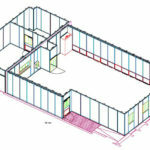 In 2011, NGS was awarded the contract to construct a class 10,000 Cleanroom for Element Six in Shannon for micron diamond materials processing. 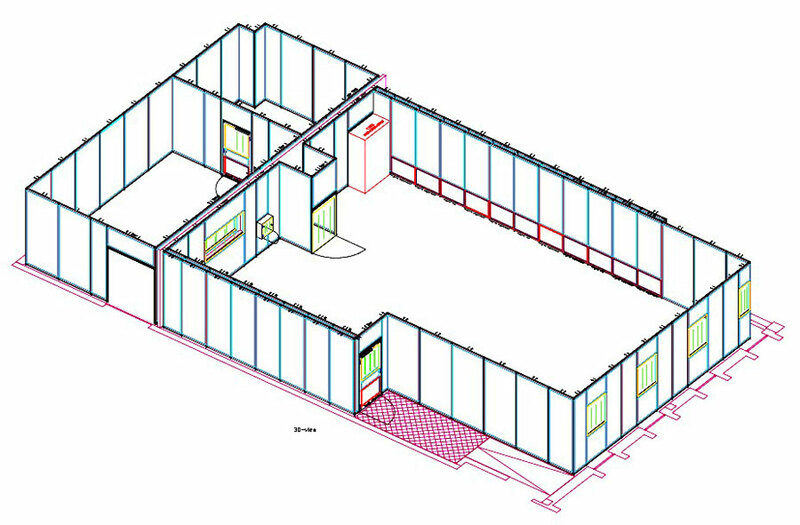 This Ultrafine Cleanroom, constructed using our Octanorm Cleanroom system is 230m² and consists of a main production room, a materials preparation area and a gowning room. 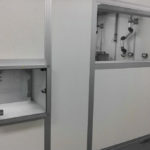 There is a personnel interlocked air shower for operator entry/exit and 2 interlocked pass through units for raw and finished materials. 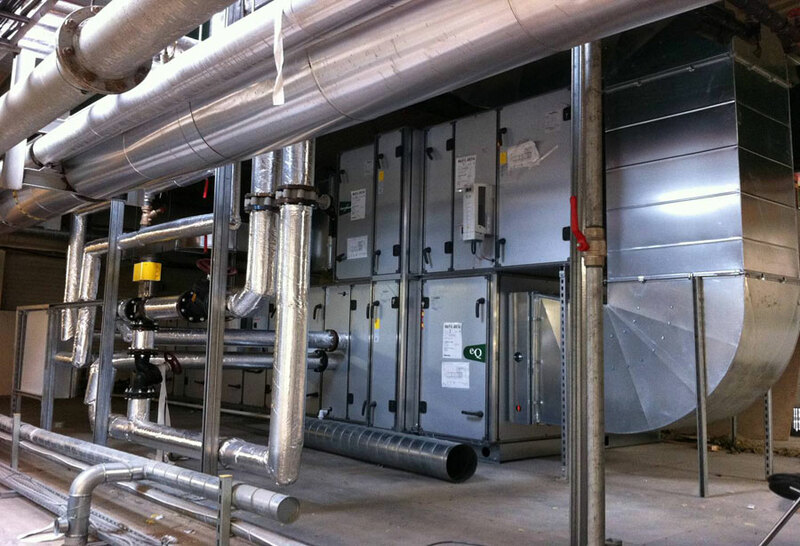 The scope of this project also required a solution for air conditioning and cooling (HVAC) as the internal heat load for the process was indicated to exceed 90kw. 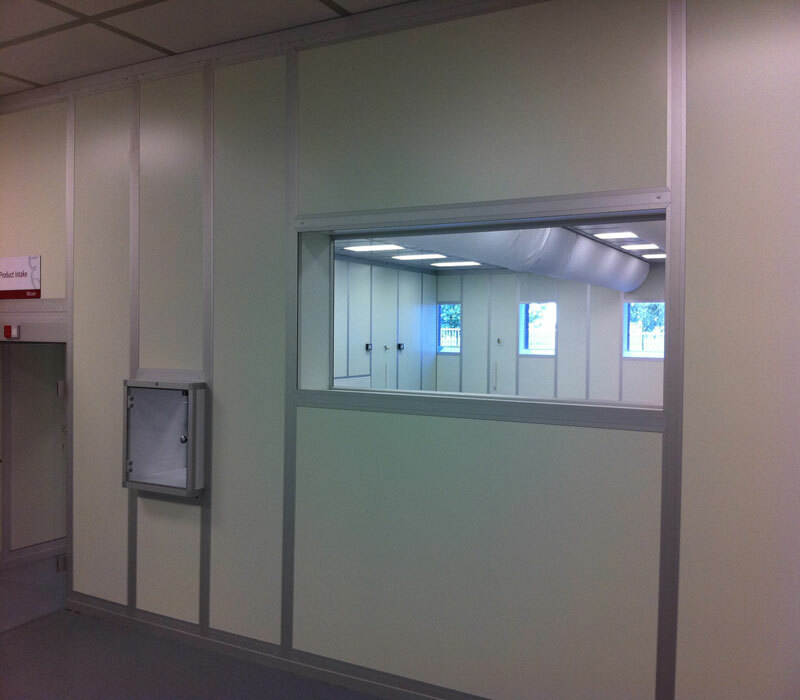 We utilised textile ducts to distribute air around this room as a very high volume of air change and delivery was required. 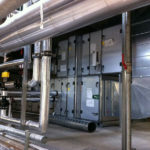 Full electrical integration and the supply of DI water, compressed air, sprinkler systems and plant electrics were all part of the installation and fit out. 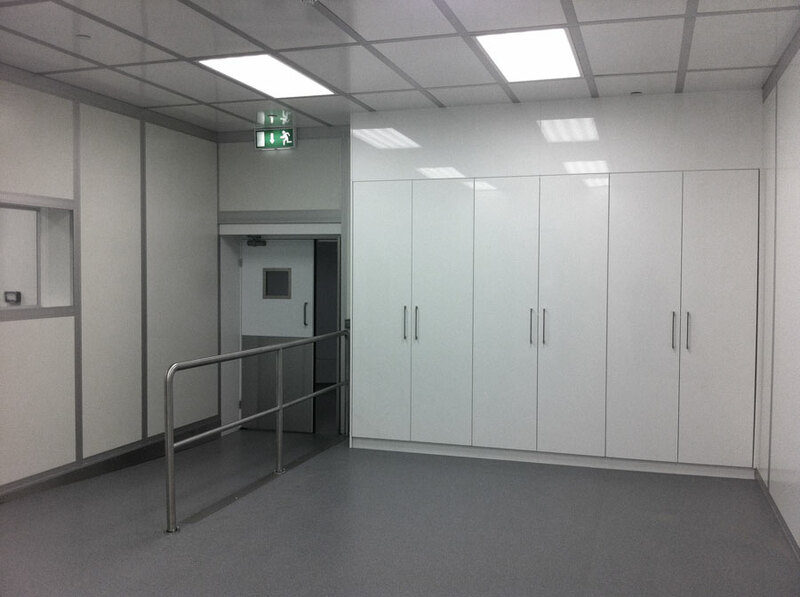 Bespoke change and gowning room furniture and storage solutions in the materials preparation area were also designed, supplied and installed. 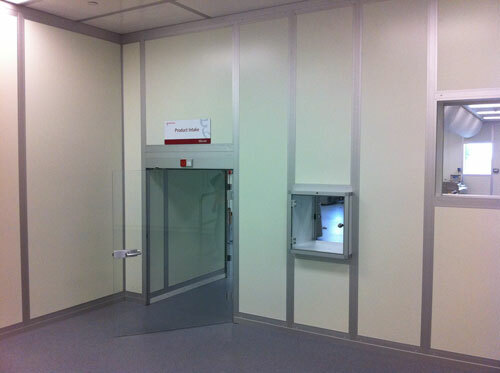 Modular wall Cleanroom system with integrated fit-out of materials storage solutions and stainless steel railings. 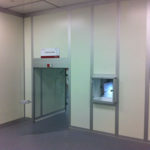 Modular Wall Cleanroom System with interlocked materials pass-through and viewing window. 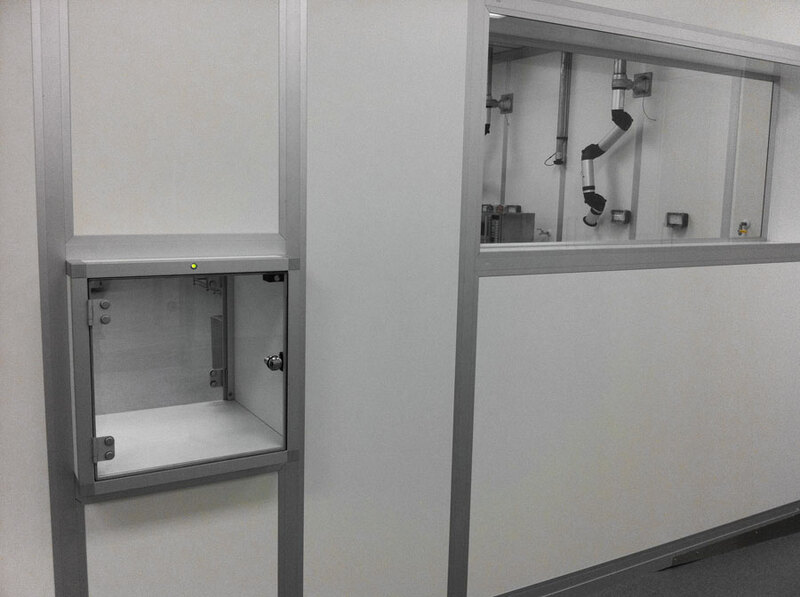 Material control to prevent cross-product contamination, especially in the finer diamond sizes. Interlocked material movement control prevents product contamination in Micron diamond production.